We install new water pipes and repair any leaking pipe. We provide a CCTV inspection service to all drainage problems to identify broken pipes and blockages. As we are registered with most of the major insurance companies, we provide a full service in installing and replacing geysers in accordance with SANS 10254. For all domestic and industrial drain and storm water systems. The High Pressure machine resolves all major drainage and storm water problems. Ad-Hoc Plumbers provide a full solar geyser service. Our plumbers are fully qualified solar installers. Ad-Hoc Plumbers handle all types of blocked drains. As we have the right equipment to minimise any further damage to the drainage system. Ad-hoc Plumbers for all insurance plumbing claims, burst pipes, leak detections, blocked drains, geyser repairs and geyser replacements in Pretoria and surrounding areas! Ad-Hoc Plumbers was founded during 2003 and is registered with the Institute of Plumbing in South Africa. We’re open and working even on days when everybody else shuts down in the greater Pretoria Metropolitan, Centurion, Midrand, Brits, Hartbeespoort, Witbank and Bronkhorstspruit areas. Always ready for any emergency, truly a 24/7 plumbing operation, Ad-Hoc Plumbers provide an outstanding service for all commercial, domestic and industrial plumber and plumbing services. CALL US TODAY for all Plumbing Emergencies, Leaking Pipes, Leak Detection, Burst water pipes, Geyser replacements, Plumbing Insurance Claims and Blocked Drains. Our dedicated fleet of vehicles are well-maintained at all times and have been equipped to deal with any emergency they are assigned to. We are proud of the Ad-hoc brand and all our vehicles reflect our company branding which not only creates visibility but also shows our commitment in managing a fleet to be proud of. Our operating areas include, but are not limited to the greater Pretoria Metropolitan, Centurion, Midrand, Bronkhorstspruit, Brits, Hartbeespoort, Rustenburg and Emalahleni (Witbank) areas. Our dedicated and professional team is always ready to deliver and we have the capacity to provide assistance to a broad area of municipalities across the country. Professional, fast and friendly service at an awkward time (Sunday afternoon) at a reasonable rate! Thank you very much!!! Thank you for your Professional Service, very affordable and helped us out at 11pm at night. Would recommend you to all!!! Wow what a Pleasure to have you guys working in our Home, phoned at 9am the Guy got there just after 10am he was in and out in a hour , cleaned up and at an affordable price. Ad-Hoc Plumbers Pretoria for all your Professional Plumbing Pretoria needs, blocked drains, burst pipes, leaking pipes, leak detection, Plumber emergencies and Insurance plumbing claims. We also do geyser replacements, geyser repairs and replace broken geysers! Call Ad-hoc plumber today for all your plumbing Services and water leaks or leaking Geysers. 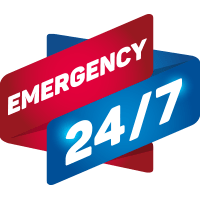 We offer a 24-hour Emergency Professional plumbing call line! © 2018 Ad-Hoc Plumbers. All Rights Reserved.